Photo: New Zealand team visit Bournville, England, 1954. 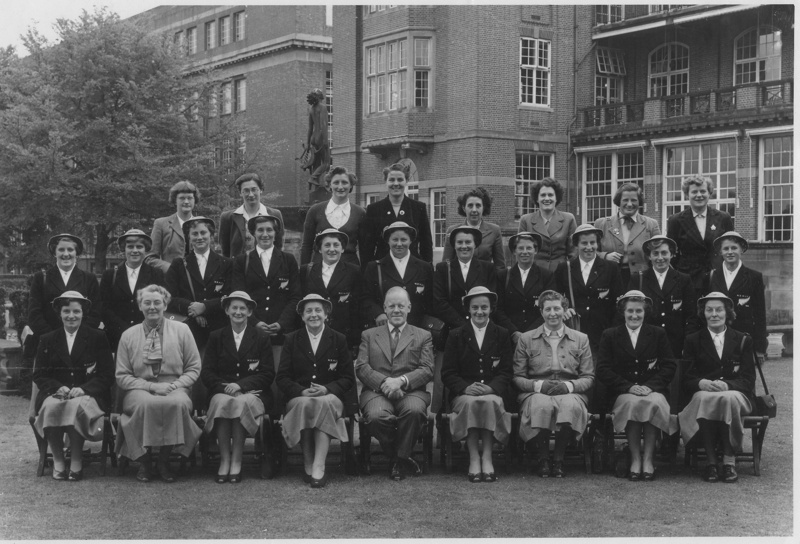 New Zealand team visit Bournville, England, 1954. Bournville is a model village in England, south of Birmingham, which is known for its association with the Cadbury family, and chocolate.The team is photographed formally, wearing hats at blazers. Team is photographed outside in front of a large brick building. Visit to Bournville, U.K. tour, 1954.